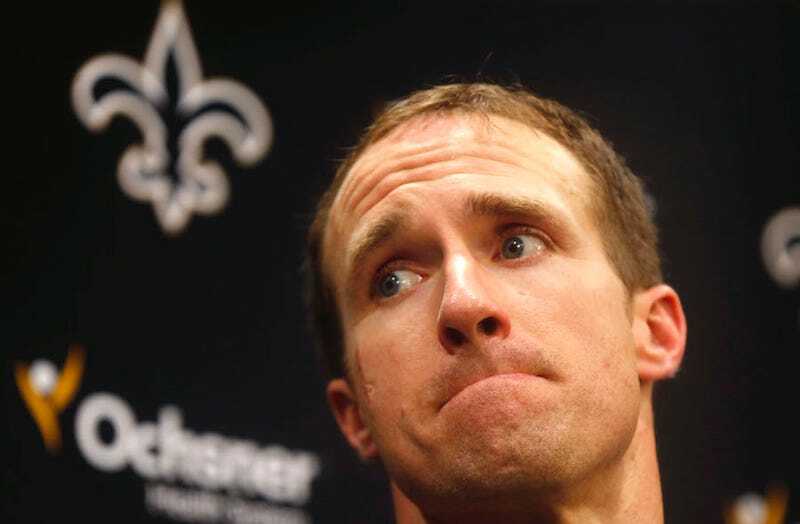 Saints quarterback Drew Brees messed up his shoulder after being hit in last Sunday’s game, and wasn’t immediately ruled out for this week, but it turns out his recovery wasn’t quick enough. Head coach Sean Payton said today that he’ll keep Brees out of this Sunday’s game against the Panthers. Luke McCown will start, and rookie Garrett Grayson will be the backup. Meanwhile, Josh McCown is slated to start for the Browns. The NFL’s full of McCowns again!